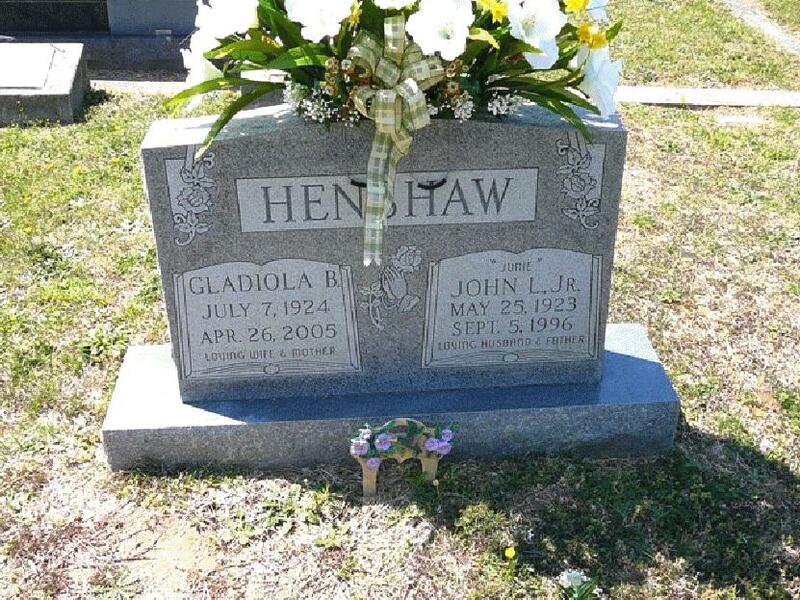 Gladiola E. Henshaw, 80, formerly of Matoaca, Va., died Tuesday, April 26, 2005, at her residence in McKenney. She was the daughter of the late Harvey Lee Belcher and Lois Johnson Petters, and the widow of John L. Henshaw Jr. She was member of Matoaca Baptist Church. Mrs. Henshaw is survived by her son, Glenn Howard Henshaw of Chesterfield; two daughters, Delores Ann Hyder of Sutherland, and Dorothy Charlene Reynolds of McKenney; 9 grandchildren and 16 great-grandchildren. A funeral service will take place at 11 a.m. Friday, April 29, 2005, in the Colonial Heights Chapel of E. Alvin Small Funeral Home and Crematory, 2033 Boulevard, with the Rev. R. Roland Powell officiating. Interment will follow in East Matoaca Cemetery. The family will receive friends from 7 to 8:30 p.m. Thursday at the funeral home.